When building a product, you always want to improve what already exists to provide more value to your customers. Solving real problems and building your product around the jobs you are solving is crucial for success and, at the same time, it is amazingly rewarding. Once you understand the job your product needs to solve for your customers, you need to create an experience for the whole product. It’s the atmosphere, the feeling, the way your users interact with your product – everything. It starts at the very first contact – the first mention at a conference, the first time a colleague talks about the product, the first time you see an ad or the first time you visit the website and it is present throughout the application. When it comes down to product design, you need to translate that experience into actual design. The way users interact with the product and the way they can solve certain problems is strongly influenced by the whole experience you want to create. This is critical if you want to build good products that people love and value. At Codeship, we want to make the interaction with the whole brand and the product from the early beginning as personal as possible. We want to be an extension of your team. This is why we are sending Codeship care packages to you, no matter where in the world you are. This is why we set such a high bar for our customer support. And this is why we want Codeship – the product itself – to feel less like a tool and more like a platform that is an important part of your team’s workflow. We highly value your time and productivity and therefore focus strongly on simplicity. We want you to be able to solve complex tasks as quickly and simply as possible so you don’t have to think about them anymore. This is what we strive for and this is what our product, visual design and our decisions throughout the whole Codeship experience are based on. The way we want you to experience the product defines what we build and how we build it. One big step we are taking right now is a complete redesign of our application. We want to improve Codeship’s user interface (UI) to be cleaner and simpler. You should be able to focus on the information you need without distractions. I am happy to announce that we finished our first steps in that direction with the new design of our public pages, which will also define the look and feel of the application itself. We published a new design of our website, blog and documentation. Each of these new pages focuses on the experience we want to convey. Personal. Simple. Valuable. On Codeship’s team page it is not nearly enough to simply display the team. Once again we want to be personal. It is about sharing our vision and values by showing how we work together as a team, and what activities we do to keep our team spirit strong. Simplicity and great usability do not stop at the visual design and user interaction. For Codeship, it is ingrained in the product to make testing and deploying as simple as possible. But we do want more — we want to take the whole experience one step further. 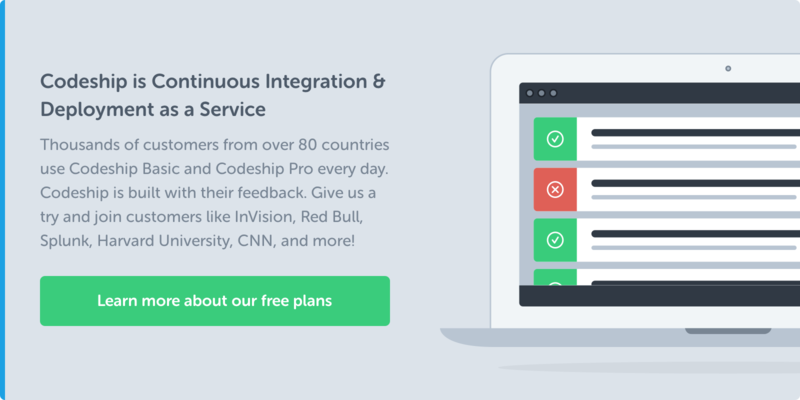 In the past we simplified the structure of our pricing and also introduced a free plan to make it easier for small teams, freelancers and single developers to reap the benefits of Continuous Delivery. Our decisions are based upon the experience we want you to have when getting in touch with Codeship and using our product. We will continue to improve the experience of the Codeship brand while creating a product that enables an efficient development and deployment workflow that lets you focus on building the best product for your users. In the end, it is all about helping you achieve your goals. 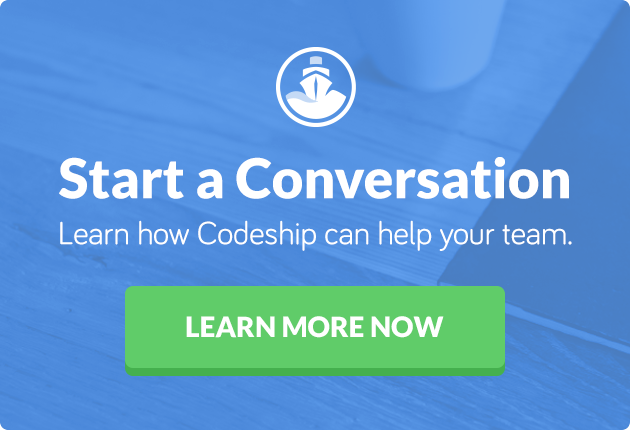 Codeship (the product) happens to be one of the things that can help you with that. PS: We are always happy to receive feedback. I’d love to learn where we can improve!